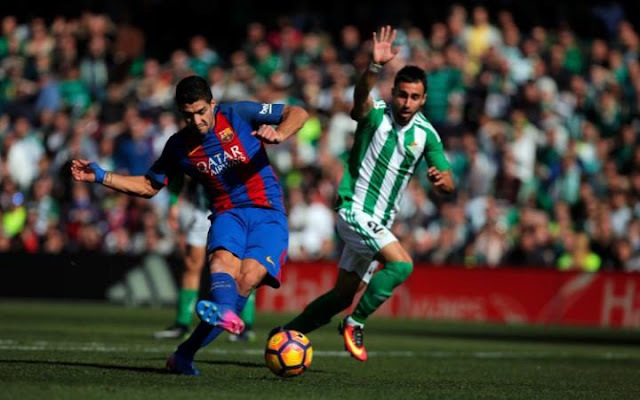 Luis Enrique's men held into a draw against Real Betis after a Controversy over Andre Gomes' goal wrongly disallowed. The draw makes the champions lose further ground in title race. 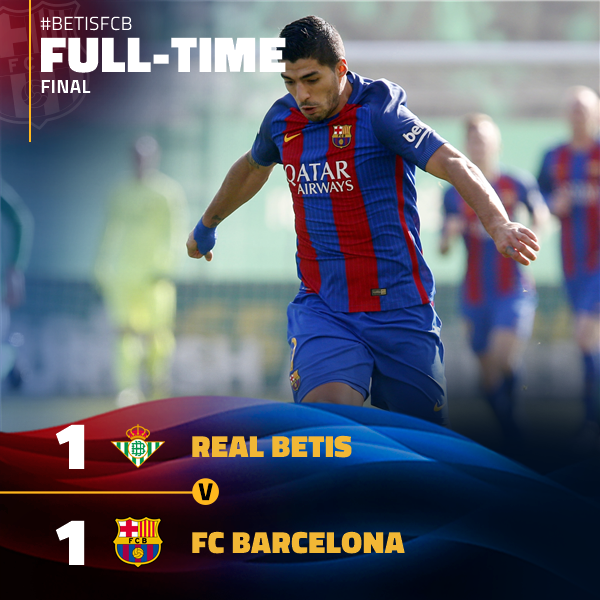 Alex Alegria scored for Real Betis and Barcelona's equaliser came from Luis Suarez.